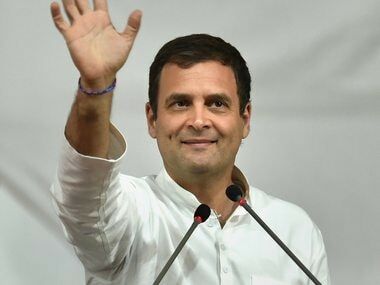 The controversy over Congress president Rahul Gandhi's alleged 'divisive comment' where he said 'Congress is a party of the Muslims', refuses to die down. In an attempt to clear the air over the controversy, Rahul tweeted on Tuesday saying: "I stand with the last person in the line. The exploited, marginalised and the persecuted. Their religion, caste or beliefs matter little to me. I seek out those in pain and embrace them. I erase hatred and fear. I love all living beings. I am the Congress". In no mood to let the controversy die down so easily, Bharatiya Janata Party spokesperson Sambit Patra sharpened his attack against Rahul and said he was merely doing a shoddy stitch up job after tearing apart India's secular fabric. 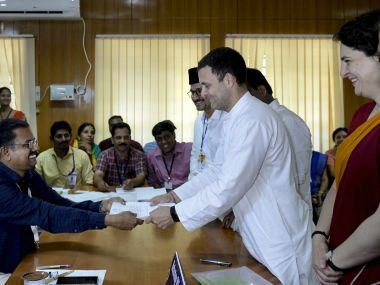 The issue started on Thursday, 12 June, when Urdu daily Inquilab published an article on Rahul's meeting with Muslim intellectuals and activists on 11 July, as part of the party's outreach programme ahead of the 2019 Lok Sabha elections. The article quoted Rahul and reported, "If the BJP says that Congress is a party of Muslims, it is fine. Congress is a party of Muslims because Muslims are weak, and Congress always stands with the weak." However, the editor of the newspaper claimed that the controversy erupted after Rajya Sabha MP, Shahid Siddiqui translated the comments in a tweet but missed the word bhi (also) in the context. Urdu daily Inqalab has quoted Rahul Gandhi saying “Yes Congress is a Muslim party”. Is the quote correct or party will contradict it? The said comment became a bone of contention as the BJP accused Rahul of practising appeasement politics, while the Congress said that Rahul's comments were being taken out of context to construe its meaning. However, Rahul himself neither rejected the comments attributed to him nor did he clarify the context in which they were made, until Tuesday when he put out a tweet which is being seen as an indirect clarification to the said controversy. However, the BJP latched on to Rahul's tweet, with Patra accusing Rahul of trying to confuse the nation rather than coming out clean on the issue. Saying that there could be only two situations in this case, Patra challenged Rahul to either distance himself from the comments or use the micro-blogging site to seek an apology from the nation. He said that the tweet was only an attempt to confuse the nation, and served rather as a confession that Rahul was guilty of making the said comments. 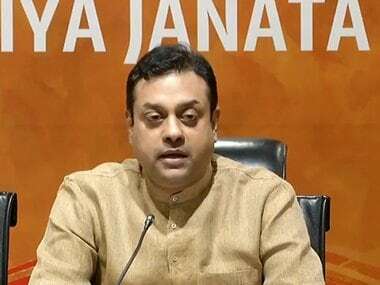 Addressing a press conference on Tuesday, Patra said that when the controversy first broke out, people thought why was Congress acting politically naive by revealing the contents of a closed-door meeting. "But this was a deliberated conspiracy of the Congress party to send out this message," Patra added. He said, "Congress first leaks the news that it will hold a meeting with Muslim clerics. Then when an Urdu newspaper reports on it they say that the news was false and they will sue the newspaper for spreading false rumours about Rahul. No notice was ever sent. In fact, Rahul's left-hand-man and Congress' minority-wing leader Nadeem Javed gives an interview to the same newspaper and says whatever was said was right." Patra said that the Congress party started issuing random statements on the issue, only after the matter became headlines. He said that by his tweet Rahul was trying to pose as some superhuman leader who would take away the pains of all, and who loves all. "But in reality, Rahul Gandhi loves no living being, he only loves the inanimate power," Patra added. "If Rahul were really with the last man in line then the last man would be with the Congress. In reality, the Congress party had only cheated the last man for 70 years," Patra said. He also slammed All India Majlis-e-Ittehadul Muslimeen president Asaduddin Owaisi for saying that Muslims were not adequately represented in the armed forces. "What is he trying to say? Now does hi want appeasement politics to percolate the ranks of army as well," Patra asked. 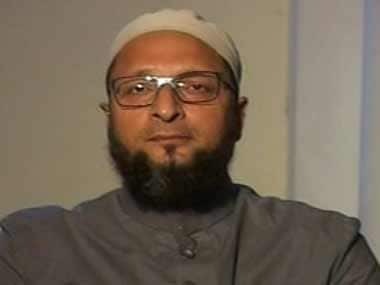 Charging at both Rahul and Owaisi, he added, "There is a competition between Owaisi and Rahul that who would first master the divisive politics of Jinnah."